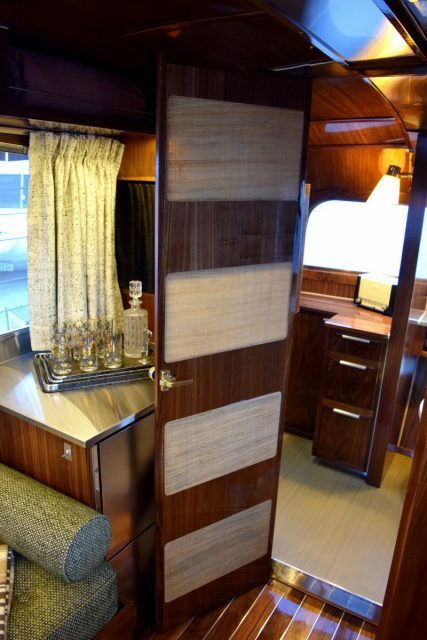 Rare, vintage trailers are often in high demand from campervan aficionados seeking a one-of-a-kind holiday experience. That’s why the discovery and restoration of a Holiday House Geographic X has caused a stir among campervan enthusiasts across the United States. 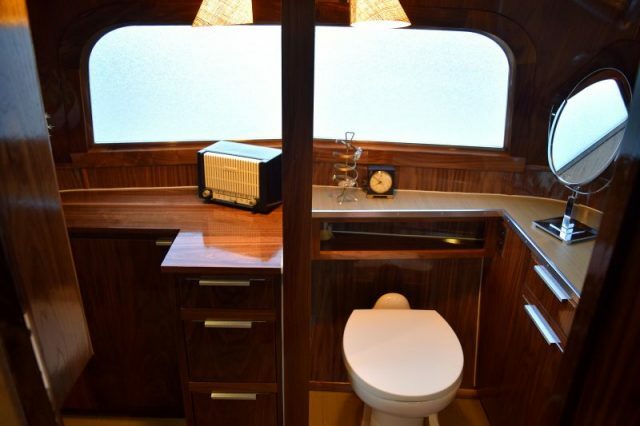 This designer trailer, one of only two known to be in existence, is one of the most desirable vintage travel trailers in the world. The Geographic X was originally designed and made in 1960, under the supervision of acclaimed industrial designer Charles “Chuck” Pelly. According to Vintage Camper Trailers Magazine, the Geographic X was commissioned by David Holmes, the president of mail order fruit company Harry and David. He wanted to create a new, futuristic design aesthetic for holiday homes, and, so the story goes, needed new projects to keep his workers busy in the slow business months at the beginning of year. 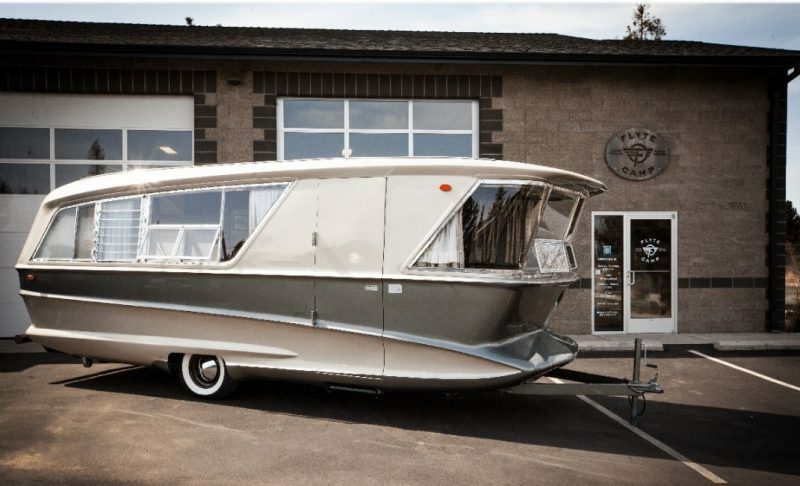 Holmes hired Pelly to design a campervan in a “space-age” style, unlike any other travel trailer on the market. It would be marketed as a high-end holiday home, dubbed the “trailer for the rich,” and would feature state-of-the-art, futuristic fittings and furnishings. In order to maintain its exclusivity, only seven trailers were ever produced, in a specially constructed warehouse in Oregon. The showroom model of the Geographic X went on the road in 1960, and toured California, hoping to attract wealthy buyers. However, its steep price tag may have dissuaded shoppers. The trailer was put on the market at $8,500, the equivalent of $71,000 today. In 1962, the Holiday Homes factory was destroyed in a fire, taking with it the majority of the stock and parts, and making the Geographic X one of the rarest trailer models around. No units were sold apart from the showroom model, which was kept by the buyer until 1999 when it was sold on, restored, and toured throughout the United States and Europe. 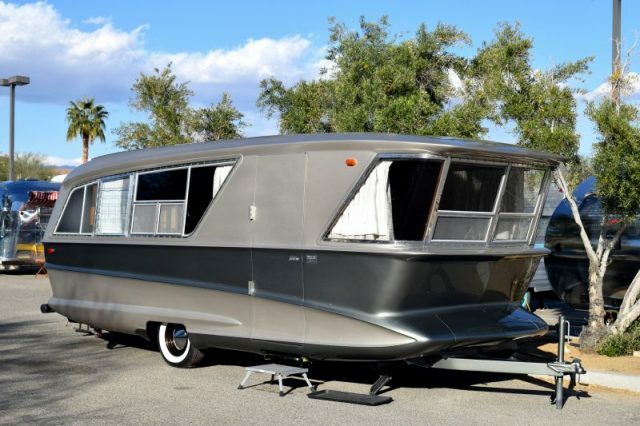 Until recently, according to Vintage Camper Trailers Magazine, this was thought to be the sole surviving model of the highly sought-after Geographic X. However, in 2016, another model was discovered, tucked away in a garage and used as a storage unit for car parts. It was acquired by Flyte Camp, an Oregon-based company that specializes in vintage trailers, and a large-scale effort was begun to restore this piece of history to its former glory. 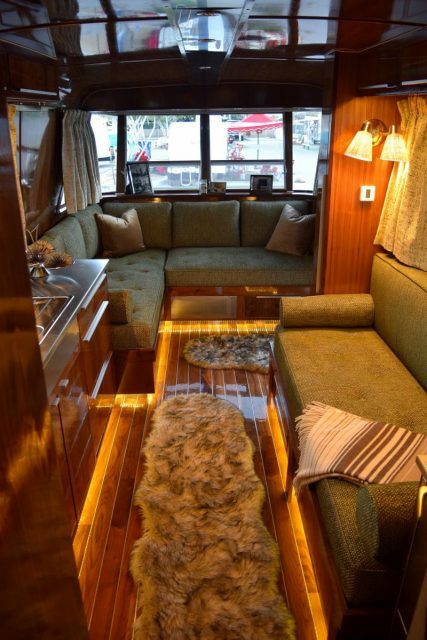 The restoration aimed to preserve the unique style of the original campervan, while updating the body and interiors. Flyte Camp made sure to keep the slick, distinctive silhouette of the original design, maintaining its 1960s identity. But unlike the original, the Geographic X now comes equipped with state-of-the-art modern technology, including solar panels, allowing for a complete off-grid experience. The exterior has been carefully repainted and updated, with new wheels, axles, brakes and tires. 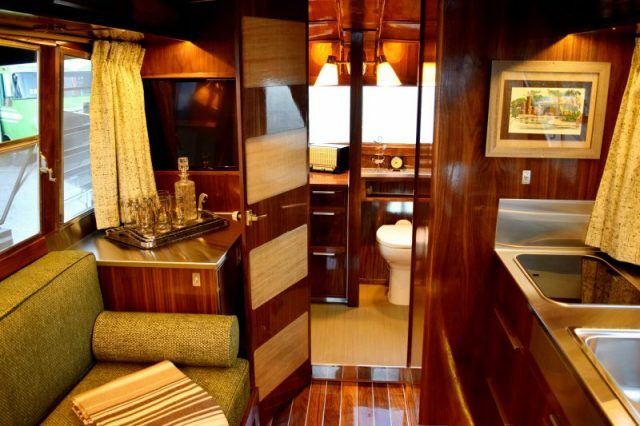 However, it’s the sleek interior that will truly transport guests back in time. The beautiful finishing of the wood-paneled cabinets, together with the vintage upholstery and classic interior design convey a stylish 1960s vibe. The visionary, space-age design of the original now feels like a 1960s design classic, and should appeal to anyone with an eye for vintage interiors. After two years of careful, painstaking renovation, the Geographic X was displayed at the Modernism Show in Palm Springs, California. It was here that the original designer, Chuck Pelly, was able to see the trailer for the first time, almost 60 years after its completion. He had never had the opportunity to see the finished product in the 1960s, despite being its designer. According to the Flyte Camp website, the finished, restored model now comes with the personal signature of Pelly, both inside and outside the trailer. 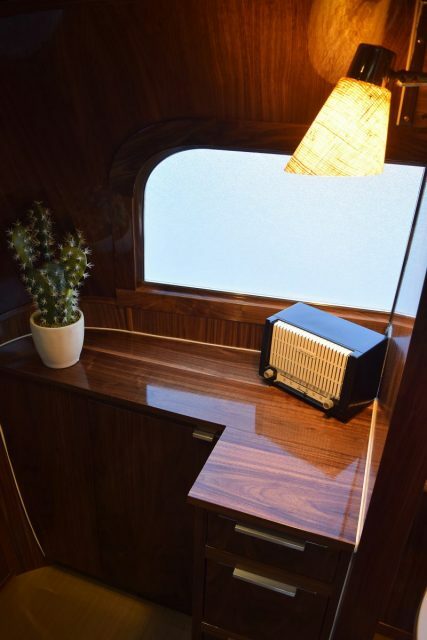 This unique, beautifully crafted and lovingly restored 1960s trailer is a little piece of 20th century design history.